Our students today have a variety of input devices (touch, stylus, voice?) but I still find that the QWERTY keyboard is the fastest and easiest input device. (I often feel pretty self-conscious talking to the computer (or tablet, sorry Siri!) when not alone, perhaps that is just me:) In my experience, writing recognition software is still clumsy and more miss than hit with emerging handwriting skills. Therefore, I find that the keyboarding remains the most reliable input device and a significant part of a good ICT curriculum for elementary students today. When do I start introducing keyboarding to children? Starting in the middle of Grade 2 or early Grade 3 (aged 7 or 8) seemed to be the best time to introduce formal keyboarding as most students progress toward longer forms of writing. Some students might be ready earlier but in my experience, a significant majority, if not all, demonstrated the necessary dexterity and readiness for more formal typing lessons by the middle of Grade 2. I found this article from Lisa Nielson very useful and comprehensive on this topic. 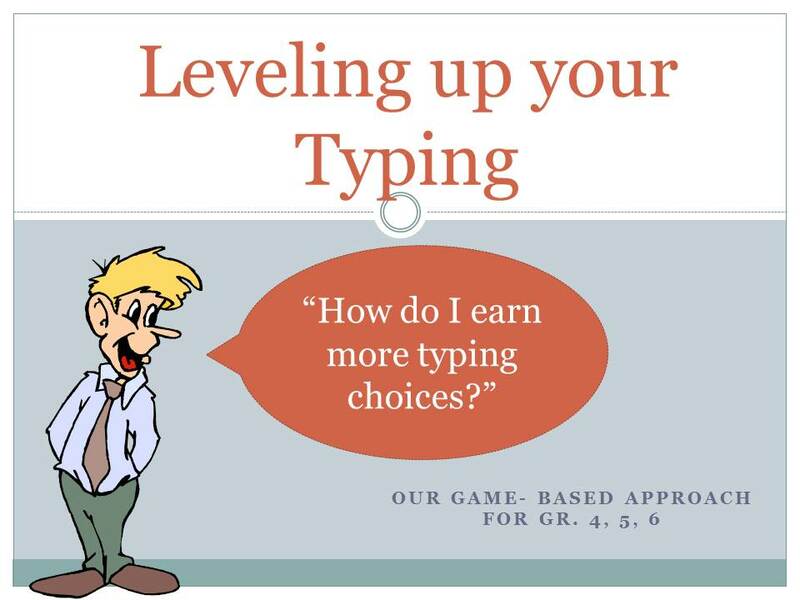 “Can I level up, please!” Or How I “gamified” keyboarding lessons. 1. a simple wall chart with the student’s name, class and level. They give themselves a checkmark when they level up. Not very private(!) I realise but it is SO useful to easily keep track and monitor their progress during the hustle and bustle of keyboarding lessons in the ICT lab. Overall, the best part is that I am spending more class time celebrating student progress and achievements. A quick thumbs up, nod, high five or encouraging word from me and students seem eager to independently record their progress on a wall chart and on the SMARTboard though Class Dojo. When setting up my levels, I started with 4 and had to expand to 10 within a couple of months as some of my Grade 4’s progressed quickly! Initially, most students were keen to “level up” to gain more choice of games and activities. This increased motivation made them increasingly receptive to tips and tricks to improve their speed and accuracy. Although I remained open to feedback, l found that students appreciated the clarity of the system. If they came up a little short in their speed, they almost always responded well when encouraged to try again, complete a different activity, or to return to the typing assessment when ready. A funny thing happened at the later levels, I was afraid that some of the students might unlock their favourite game (e.g. the popular Type Racer!) play that game regularly and then have their skills stagnate. However, once the majority of the students began to level up they seemed determined to past the assessment benchmarks. It was a complete reversal as I was now the one offering them the opportunity to play a typing game while they were more keen to complete assessments. It seemed that the process of “levelling up” gave them a tangible achievement goal and they were motivated to keep going. (I guess that is why I had to expand my levels from 4 (version 1.0) to 6 (version 2.0) to 10 (latest version 3.0). 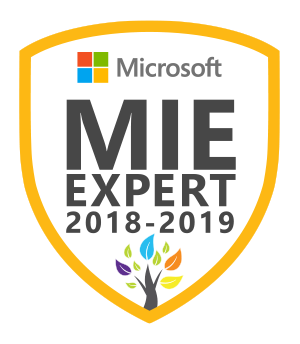 Overall, the benchmarks seemed pretty clear and I was able to tweak my requirements to ensure that the difficulties of each level increased at a appropriate rate. Custom Typing, Mavis Beacon and typingtest.com seemed to be pretty good resources for typing assessments although you should be aware of the ads at the typingtest.com site. (Although students seem to be too focused on their test to see them!) I hope to update and refine this approach each year. Thanks in advance for any feedback. What place does keyboarding have in the 21st Century ICT curriculum? What age should student start to learn about keyboarding? Should keyboarding be expanded to include tablets and mobile devices when appropriate? How much time should we devote to keyboarding in the primary, junior and senior curriculum? What tools or software do we need to run a successful typing programme? Should I add/replace customtyping.com or Mavis Beacon with the web-based QWERTYtown software? 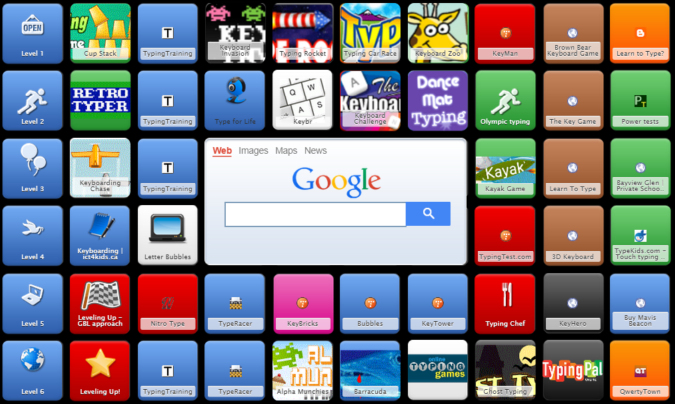 For more keyboarding resources, here is an excellent blog with a long list of fun online keyboarding games and resources. Thank you for this comprehensive article about keyboarding. I was looking for a frame of reference to use with some of my own classroom observations and you gave me an in-depth look.